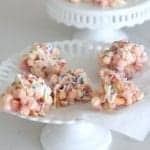 Sharing Perfect Valentine’s Day Desserts today to make your loved ones smile! 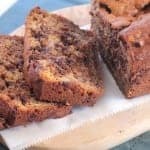 Who doesn’t want Perfect Valentine’s Day Desserts? 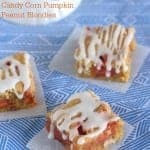 Had a blast putting together some of my Picky Palate favorites. 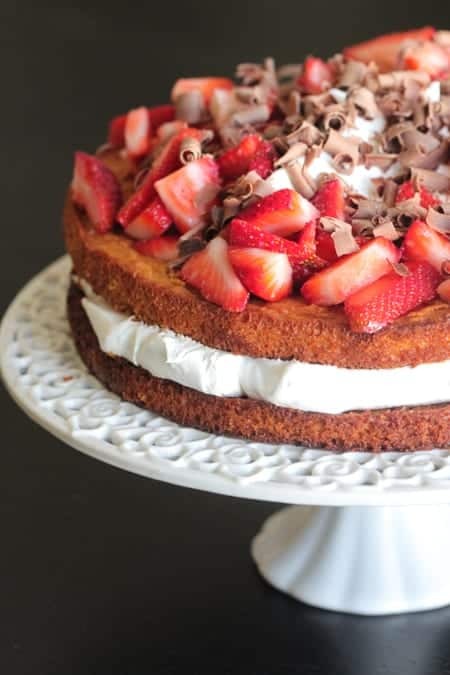 My layered Strawberry Shortcake is a stunner. Heads will turn when this beauty is brought out to a table. These are probably my most made cookies from 2016. 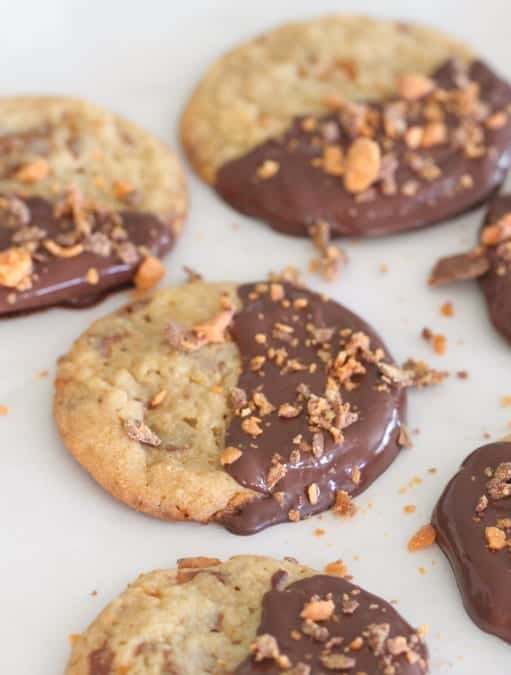 I’ve made them dozens of times with and without the chocolate dip. So great both ways and for surprising family and friends. 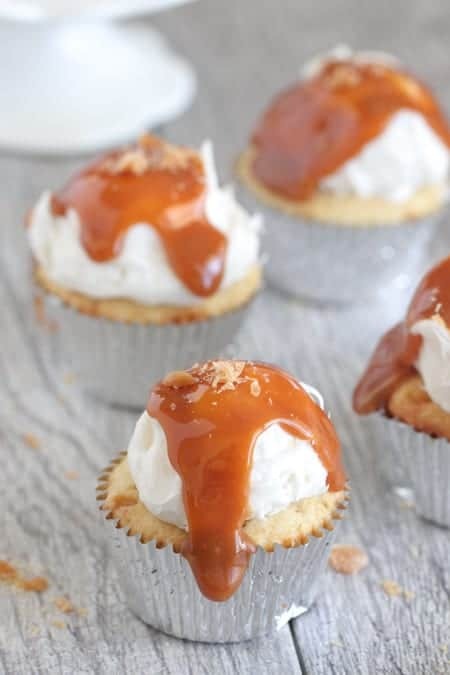 Another show stopper are my Caramel Cupcakes. The homemade butter cake is perfection. Give these a try! 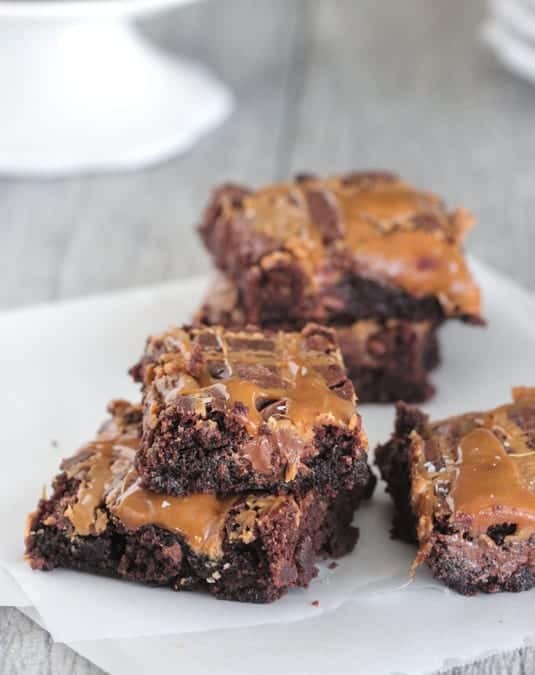 These simple salted caramel brownies can not be more fabulous. Packed with caramel and peanut butter…love this one! 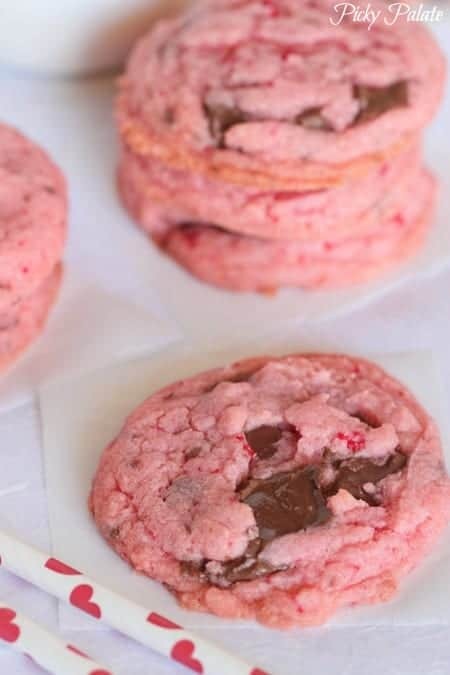 How adorable are these pink strawberry cookies? Love making these during Valentine’s Day. 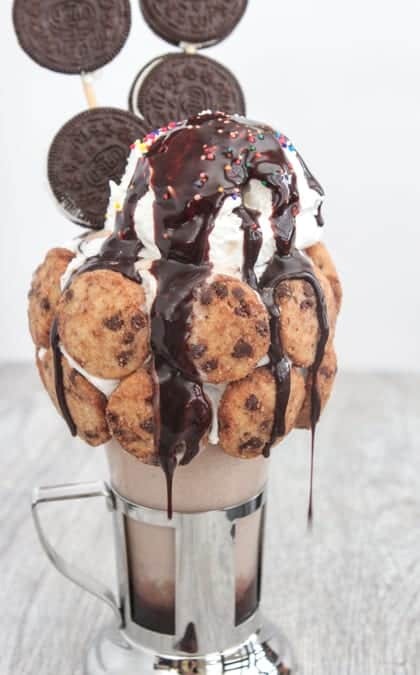 Making this milkshake might just make you the coolest person ever 🙂 I’m pretty sure I’ll be doing a version of this with my boys for Valentine’s Day. 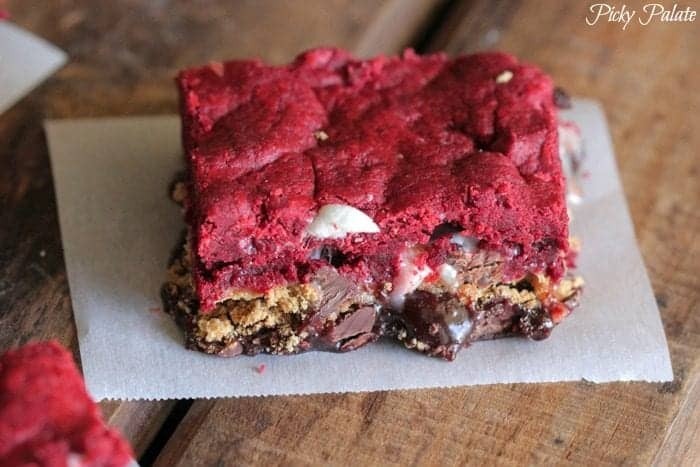 Red Velvet gooey brownie…this one is such a treat. I’ve made this one time and time again. 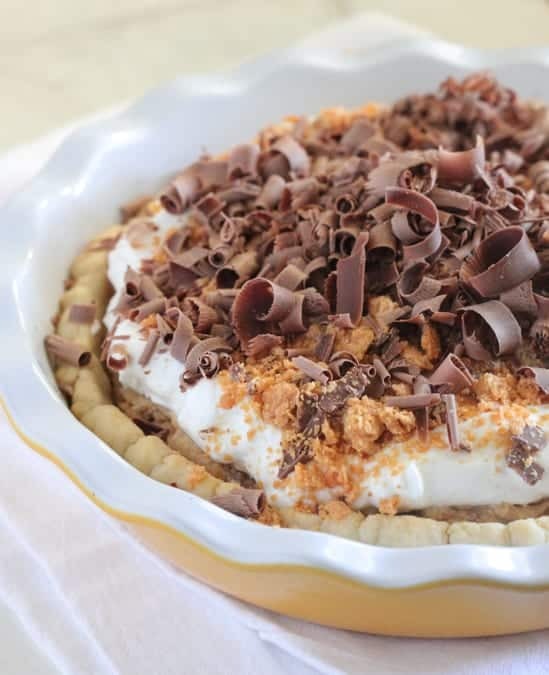 Another dessert that will get the “wow” factor is my Peanut Butter Butterfinger Cream Cheese Pie. Winner! 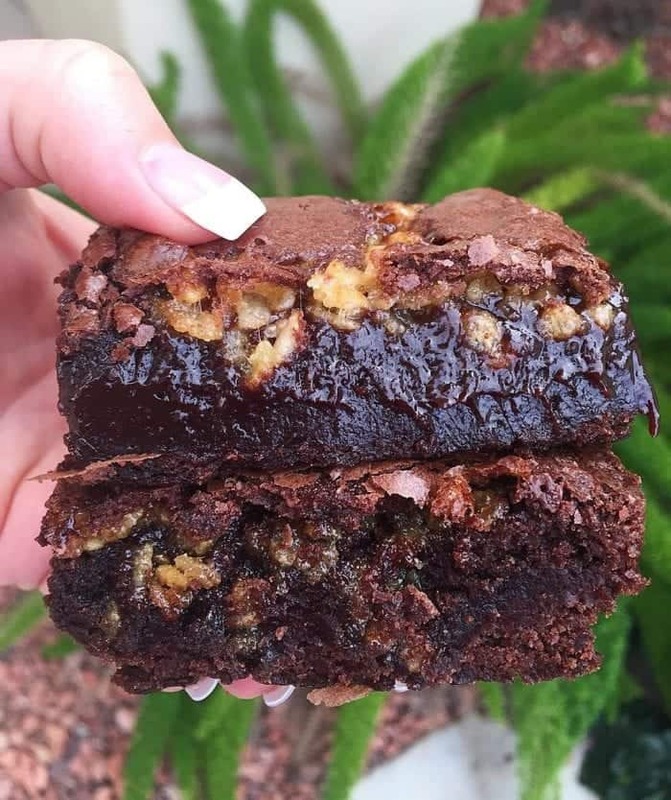 Who doesn’t love a gooey brownie packed with even more goodies?! Smiles all around when these are served. Another perfect for Valentine’s Day Cookie here. 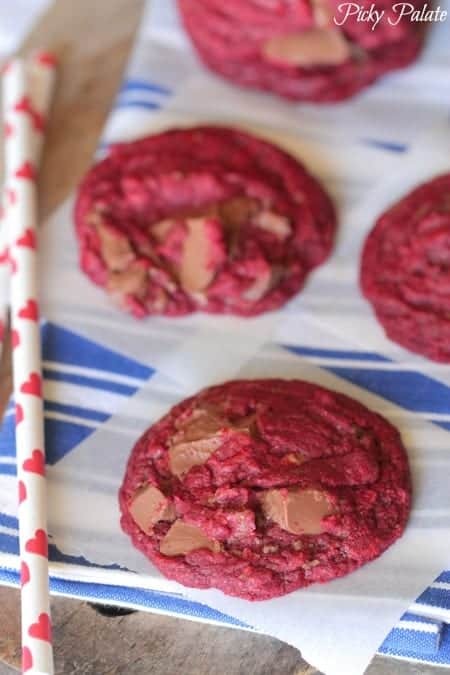 Gorgeous red cake cookies packed with crushed malt balls. 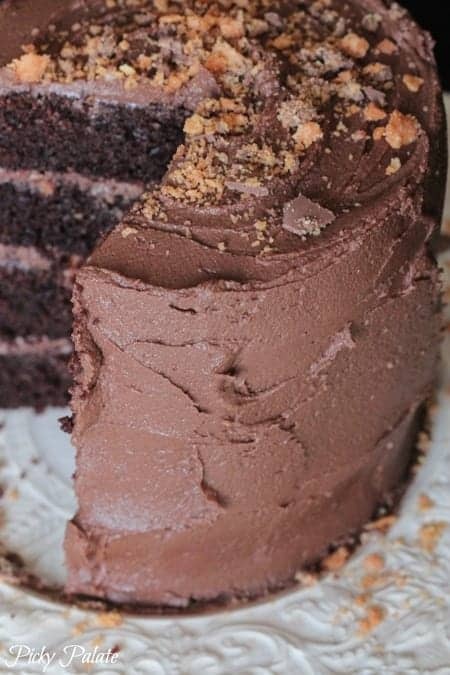 My giant layered chocolate cake is another fantastic choice to wow your loved ones for Valentine’s Day. Enjoy some sweets with your sweetie! These all look perfect for Valentines Day!